Yesterday in the United States Bankruptcy Court, District of Minnesota, the trustee in the bankruptcy of Israel McKinney and Jennifer Sauls McKinney (known as mommy blogger MckMama, blogging at mycharmingkids.net) filed Case 12-06024, objecting to the discharge of the bankruptcy. Last month I published a lengthy article about the MckMama bankruptcy fraud, and today we’re going to compare what I showed you and what trustee Gene Doeling (my new hero!!!) has alleged. This filing contains strong language. The trustee uses words such as manipulated, destroyed, concealed, falsified, false, and intentionally. The one key word you will see over and over is undisclosed. The bankruptcy laws in the United States give people a chance to start over, without regard to whether the debts were incurred through recklessness or through no fault of the person filing bankruptcy. But in order to have your slate wiped clean, you must make a full and complete disclosure according to the rules. Proper disclosure in bankruptcy isn’t hard. All you do is fill out the forms truthfully. It’s a fill-in-the-blanks exercise with which most people elect to have an attorney’s help. But at the end of the day it is the debtor’s responsibility to ‘fess up to all assets, income and transfers during the time periods specified on the forms. Jennifer and Israel McKinney haven’t been proven guilty in a court of law yet, but they will be. There is documentation and testimony that proves MckMama lied in the bankruptcy filing. And it wasn’t one or two isolated instances. There were multiple lies that are now proven false by underlying documentation, and (coincidentally enough) Jennifer’s own writings on her My Charming Kids blog and her Facebook page. Here is the complaint in the new case, which may otherwise be called Time to Pay the Piper, Jennifer McKinney! I’m going to go through the complaint against Jennifer and Israel McKinney, and then refer back to what I wrote in my original post. What is the trustee asking the Bankruptcy Court to do? UPDATE #1 – What about child support? UPDATE #2 – What about the IRS? UPDATE #3 – What about Jennifer’s domain name change? 4. The debtors appeared at an initial 341 meeting on January 9, 2012. A continued 341 meeting was held on March 5, 2012, at which time the trustee questioned the debtors regarding several undisclosed assets, including an undisclosed PayPal account, undisclosed receivables, undisclosed travel trailer and undisclosed domain names. Between 11/22/11-12/27/11, the debtor deposited over $10,000 into Well Fargo Account no. 9246. Those deposits occurred as follows; 11/22 of $1,140; 11/25 $1,105; 12/6 $6,087 and a 12/27 deposit of $2,060. The codebtor disclosed her self employment income on Schedule I as $1,500 per month. 5. The co-debtor had a Google AdSense account which reflected a balance owing her as of November 30, 2011 of $2,060.16. The co-debtor withdrew these funds from her Google account on December 23, 2011, ten days after she filed bankruptcy. The Google account was not disclosed on the debtors’ bankruptcy schedules. 6. The trustee, on information and belief alleges that the co-debtor had one or more PayPal accounts which had cash in them on the date she filed bankruptcy, which were not disclosed. 7. The co-debtor had income coming in from New Media Consultants, which was not disclosed. The co-debtor received a payment from this entity into her PayPal account on December 23, 2011 of $500. 8. The co-debtor had income coming in from Burst Media which was not disclosed. The debtor had an account receivable from Burst estimated to be around $400 at the time the bankruptcy was filed. This is a total of at least $7,711 in December 2011 alone, when Jennifer reported in the December 2011 bankruptcy filing that her total income (blog, photography, deals, the whole works) was going to be $1,500 per month. A simple peek at her own accounts would have clearly told her that her income was going to be more than $1,500 per month. One bank deposit of $3,497 in November 2011 alone again shows the falsity of Jennifer’s statement that she was going to make $1,500 per month. So Jen earned $2,884 of income from certain advertising alone in December 2011, yet in that same month, she put on her bankruptcy paperwork that she was going to earn $1,500 per month total from the website, photography, and deals. Liar, liar, pants on fire. 9. The debtors had a travel trailer which they purchased in the spring of 2010 for $900 and which they still possessed at the time of the bankruptcy filing. The debtors sold that asset after their bankruptcy filing to a friend for $400. This trailer was not disclosed on the debtors’ bankruptcy schedules. 10. The debtors purchased a 34 foot Jayco Jayflight camper in early 2011 for $12,000. They sold this camper in May 2011 and received $9,000 from the sale. The debtors did not disclose the transfer or sale of this asset in their bankruptcy schedules or at the initial 341 meeting. The debtors claimed at the continued creditors meeting they did not have to disclose this transaction because they were holding an open title when it was sold, and therefore they never owned the camper. Obviously this camper was a substantial asset that was sold prior to the bankruptcy and should have been included in the bankruptcy schedules. Jennifer tries to wordsmith and say that since the title wasn’t in their name, she didn’t think they had to disclose it. That doesn’t ring true. What’s interesting about the domain names, is that Jennifer would have us believe that they are worth $100, as shown on the amended bankruptcy schedules. She has an interest in lowballing that, and she claimed in the creditors meeting that the value was the $10 annual fee she pays for the domain name. The fact is, the actual asset is the domain name plus the blog. And as we have seen, that asset is very valuable. 12. The debtors made the following transfers of cash from the bank accounts which were not disclosed in the Statement of Financial Affairs. A. February 1, 2011- donation of $1,000 to friend’s international adoption. C. October 3, 2011- Gift of $300 to Nancy Lee Brady, the debtor’s mother. So $2,000 given away but not reported on the bankruptcy schedules as required, with Jennifer claiming she didn’t think it was a transfer. And that she “didn’t put it in the right spot.” Not quite. Jennifer didn’t put it in any spot. It was completely undisclosed, in apparent violation of the bankruptcy laws. 13. In the statement of financial affairs the co-debtor disclosed her 2011 self-employment income as $55,000, when she knew at the time she filed her bankruptcy that her gross income from self-employment was approximately $148,000. Note that this does not include income Jennifer received from Amazon.com and other affiliate programs (from which she likely has been receiving monthly payments since at least April 2011, but for which Jennifer claimed in the creditors meeting that she has received nothing). The total of $148,125 in 2011 is obviously a far cry from the $55,000 income for 2011 that Jennifer is still claiming in the amended bankruptcy schedules. 14. Transfer / preference to John Sauls, the co-debtor’s father, of $1,200 within one year of the debtors’ bankruptcy filing. 15. The trustee, upon information and belief, alleges that the co-debtor has manipulated her income downward during the two month period prior to her bankruptcy filing. She switched off ads on her website/domain to manipulate and lower ad revenue from her website, from which she drew income. Since the debtors’ bankruptcy filing, those ads have been turned back on and the co-debtor is again earning money from those ads. You see also in the amended bankruptcy filing, Jennifer McKinney changes the monthly income for the means test from $5,039 to $9,750, almost twice as much as originally reported. Yet in Schedule I, Current Income of Individual Debtor(s), Jennifer’s gross income from her business (blog, photography, deals) is still listed as only $1,500 despite the bankruptcy trustee showing the falsity of that number in the creditors meeting. 16. The trustee realleges paragraphs 1 through 15 in support of this claim. The debtors have transferred, removed, destroyed, mutilated or concealed or have permitted to be transferred, removed, destroyed, mutilated or concealed, property of the estate after the date of the filing of the petition, namely the funds in the PayPal and Google accounts were undisclosed and have been used by the debtors; the debtor sold the enclosed travel trailer that was not disclosed and which was property of the estate, to a third party. 17. The trustee realleges paragraphs 1 through 16 in support of this claim. The Debtors have concealed, destroyed, mutilated, falsified, or failed to keep or preserve any recorded information, including books, documents, records, and papers, from which the debtors’ financial condition or business transactions might be ascertained. The debtors failed to keep adequate books and records from which their financial transactions could be ascertained. The co-debtor was receiving cash payments from photography clients that were not disclosed and for which she has been unable to provide an accounting. Yes, MckMama did hold online photography prior to the filing of the bankruptcy. Lots of them. She started with face-to-face workshops in September 2011, with a cost of $250 per person for a 1/2 day, or $400 for the whole day. There were 14 attendees for the morning Dallas workshop alone, which would mean income of about $3,500 for the morning, and around $5,000 or $5,500 for the whole day. 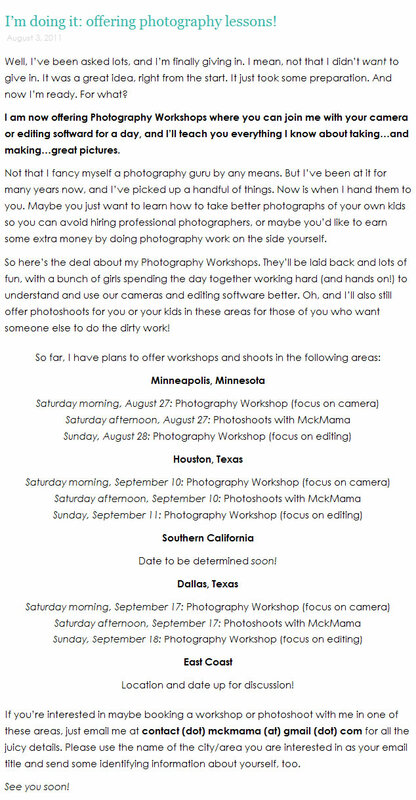 On September 30, 2011, Jennifer McKinney announced she was starting online photography classes. She advertised 6 classes for October 2011. With 10 participants per class, and a fee of $40 per person, that’s $2,400 in revenue. She also offered hourly one-on-one help for $50 per hour. 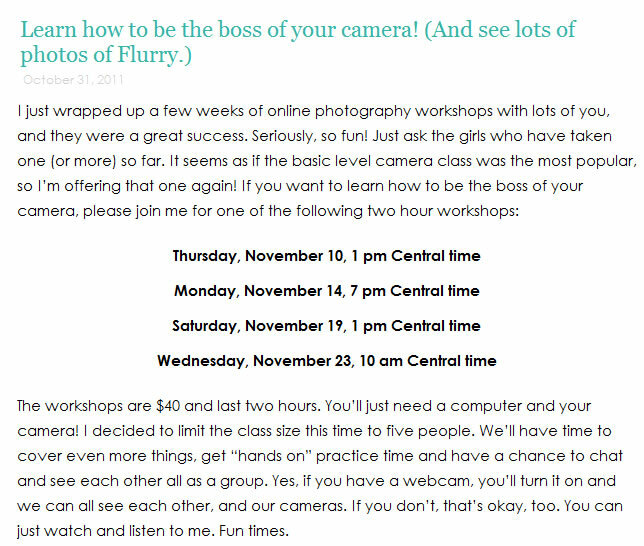 And on October 31, 2011, MckMama repeated that she had done a bunch of online photography workshops, and was promoting four more sessions for November 2011. 18. The trustee realleges paragraphs 1 through 17 in support of this claim. The debtors knowingly and fraudulently, in or in connection with the case (A) made a false oath or account. The debtors failed to disclose the PayPal account, the Google AdSense account and the domain names through which the debtor was blogging. The debtors failed to disclose the camper, which was sold post-bankruptcy filing. The co-debtor intentionally underrepresented her income on Schedule I, having deposited in excess of $7,000 in the month prior to her bankruptcy filing, yet reporting monthly income of $1,500. The co-debtor also failed to disclose income from Amazon and other affiliate programs from her blog.The Trustee, upon information and belief, believes that the co-debtor has income and/or incentives from Groupon, Logical Media, Eversave, Commission Junction, Double Click and other possible affiliate programs. the value of any other undisclosed assets yet to be discovered and proven at trial. 3. For such other and further relief that is just and proper. What does this all mean? The bankruptcy trustee is calling out Jennifer McKinney and Israel McKinney for lying about their income and assets, and for spending money that they did not disclose (money which could have been used to pay creditors). He is asking the court to NOT allow the McKinneys to discharge their debts via bankruptcy, meaning they would still be on the hook for all of their debts. Whether the bankruptcy goes through or not, the non-exempt assets of the McKinneys will still be taken and sold, with the proceeds going to creditors. While the McKinneys would still be allowed to file for bankruptcy again after waiting several months (typically 6), the debts in this case would likely not be dischargeable in a new bankruptcy. The trustee is asking that the debts not be discharged under 11 U.S.C. §§ 727 (a)(2)(B), (a)(3) and (a)(4). According to the Bankruptcy Code, Jennifer and Israel cannot get debts discharged in a future bankruptcy if denied a discharge under section 727 (a)(2), (3), (4), (5), (6), or (7). Nicely done, Mr. Deoling. Nicely done. The first consideration is placement of the children. If custody is awarded 50/50, there is not necessarily any child support due from either parent to the other. Child support MAY be due in such a case if there is a great disparity in the incomes of the parents. For those wondering about the Internal Revenue Service, the information uncovered in the bankruptcy could lead the IRS to look closer at Jennifer Howe Sauls McKinney. If the IRS is made aware of substantial discrepancies in reporting income that were discovered in the bankruptcy, they could easily audit her for at least the past three years (and up to seven years if there is suspicion of tax fraud). This would entail the IRS digging through all of Jennifer’s records to prove her actual income and expenses, and if she has poor records (which Mr. Doeling seems to think is the case), she could be in a world of hurt. In tax cases in which the taxpayer has failed to keep adequate records, the IRS often uses bank deposits as the measure of income. So the total deposits could be considered her income for the year. What about the business expenses? She would only be allowed deductions for those items which she can prove. In cases with poor documentation, the taxpayer often ends up being taxed on a high amount of income, since the taxpayer is unable to prove otherwise. Some are wondering if Jen’s domain name change happening soon is legal. She is legally able to register a domain name at any time, and start a website at any time. The bankruptcy court cannot stop her from doing that. However, I do NOT believe that Jennifer owns the content on her current website (the bankruptcy court does), so she should NOT be allowed to move that to a new site. Up to this point, the bankruptcy trustee has been saying that the asset is the domain name. I believe the assets arereally the domain name plus the content. Those two together are what have value to the bankruptcy estate, and so the bankruptcy court should seize both of them immediately, if it can. If action is not taken to seize the domain and the content (yes, including all of the pictures Jennifer has taken and posted on the site), she could simply register a new domain, copy all the content to the new site, and redirect the old URL to the new site. It would be a seamless transition. People accessing a URL for the old site would automatically go to the same page on the new site (if it’s set up correctly), and they’d never know the difference. This would defeat the whole purpose of the bankruptcy court seizing the asset. The court should take the domain and the content NOW, thereby having possession of these valuable assets and not allowing Jen to do a redirect to her new site. They should make her start from scratch without the assets owned by the bankruptcy court. Whether the bankruptcy court will do this is anyone’s guess, but we can hope. If it was just the only Google withdrawal I would have thought, “That must be 2 months worth, how dumb to leave yourself open to questioning by letting 2 months sit there and taking it out right after filing for bankruptcy.” But it wasn’t just Google account. It’s everything the trustee uncovered, and probably more. The question I have is, if the judge approves the requested judgement against the McKinneys, will they just end up on a payment plan like they are with the IRS? Israel is working, but he’s already giving most of his net income for child support, what is left the garnish? It seems like JM is making enough to live decently and pay back the debts. If she didn’t incur new debt, she could pay everything within 5 years. It would be lean but not horrible. People have done it. Does this mean that the McKinneys will be going to trial? If so, what type of trial is this? Would it be civil or criminal and what are the possible penalties if found guilty? Nice job of putting it all together in one place. Your explanations certainly make it clear what a job the trustee had and is to have getting to the truth. Excellent info. Thanks! Melinda – The McKinneys can have a trial if they wish to. This is civil. No criminal charges at this point. If the McKinneys lose, they will get to keep their debts (at least until they’re eligible to file bankruptcy again) and the trustee will get to keep the items that have been ordered non-exempt by the judge. If the bankruptcy is denied, does the federal government have the option of pursuing criminal charges for non-payment of income taxes, and/or fraud related to non-payment? TC – Yes criminal charges are still possible. Yes, income tax fraud is possible too, but a separate case. 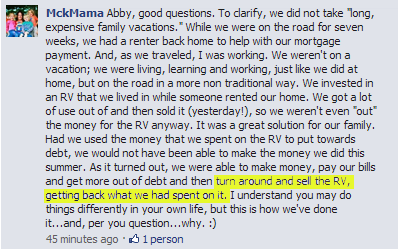 In the screenshot posted from her comment on August 11, she also states that a renter paid to stay in their house while they were on vacation. Was this rental income reported? Tracy, does it look like it’s likely that they will face charges? The trustee states that the co-debtor knowingly manipulated her income downward prior to filing. He indicates that they knowingly lied under oath. Or is this something that happens often and isn’t really big enough potatoes for them to pursue? The Mckinneys better hope Perjury charges don’t come into play. They could both — Jennifer (the co-debtor) especially — be in for a world of hurt if criminal charges are pursued federally. I’ve spoken with my uncle who is attorney (corporate), and one of the first things that came out of his mouth was “It’s never good when a trustee is appointed attorney; that means things are getting ready to heat up.” He also suggested that they could be prohibited from filing again for a very lengthy period of time (not 6 months) and even then, due to the recent turn of events, it would likely prove nearly impossible due to the fraud findings in this case. He assured me that there are processes in place that would make the IRS aware of the fraud so that they, too, could pursue action against the Mckinneys. Thanks for your succinct explanation, Tracy. Much appreciated! C3 – Criminal charges are very rare. I am just hoping that with the amount of money at stake and the egregious behavior by the McKinneys, it is being considered. Tracy-Thank you for all your hard work. Can the Judge/Trustee force her to use some of her new found wealth to pay back those debts? Char – YES! In a roundabout way. Some of the bankruptcy calculations rely on the income of the debtor immediately prior to filing. This is likely why Jennifer “played poor” at the farm and manipulated her blog advertising income downward. Less income prior to filing means less to be paid out to creditors when all is said and done. If this bankruptcy is allowed to go through, some of the assets will be taken and used to pay off creditors. While it would be a shame to see this proceed, at least SOME of what has been uncovered will be taken away. If this bankruptcy is denied and Jen later files for bankruptcy again, there will be a new look at her historical income. That’s not to say that she can’t “play poor” again and do this whole routine a second time. Yet it’s not in her best interest to do so. The court is going to be looking at her very carefully. She will have to legitimately be poor for a period of time, which would mean trashing her own businesses (blog, photography, MLM scheme). It doesn’t seem worth it to me. I do not think that the McKinneys can file bankruptcy again in regards to these debts if they are denied a discharge. As I understand it, it is part of the punitive nature of not being honest in bankruptcy. They can file again in 7 years, but not in regards to the debts listed in this bankruptcy. According to the statute below, if the McKinneys were to file again after a period of time, the debts in this bankruptcy cannot be discharged. They can file until they are blue in the face, but they are stuck with the debts listed in this bankruptcy and any that could be included that was not. They can only have debt discharged in the future for debts that could not be included in this bankruptcy. That is the penalty for lying, hiding assets. etc. If they could just file again and have the debts from this bankruptcy discharged in another one, it would just be a slap on the wrist. DLR – Thank you for finding this! I am going to update the article and my comments! Actually, if their bankruptcy case is denied/dismissed/revoked by the judge due to this Adversary Proceeding (which is really a mini lawsuit within their bankruptcy case) – the McKinney’s will *NEVER* be able to discharge *ANY* of the debt to any of the creditors they filed this bankruptcy against. They also may be faced with fines and/or imprisonment. The saddest thing is they may have been able to file a Chapter 7 and received a discharge using all the correct amounts of debt, income and expenses. The corrected income discovered by the Trustee only put MckMama 40k over the median annual income for Minnesota. With correct bookkeeping to capture her true business expenses, withholding proper federal and state taxes, and paying a premium for health insurance for 5 children and 2 adults she likely could have covered that amount and breezed through her 341 meeting and straight to a discharge 60 days later. Sure they may have lost one of the trailers or some other assets they could not cover with an exemption – but they would have also have lost all of their debt. Too bad she decided to not be truthful and ended up with a staggering debt load because of her deceit. Thank you VY, also. I have updated the text of the article to reflect this. WOW!!!!!!!!!!!!! Tracy…such a great job and easy to understand! Thank you for putting so much time and effort into exposing scammers and thiefs who are undermining our whole economy and making all the average people working and paying their debts suffer in so many ways!! HUGS TO YOU! The wheels of the government grind slowly but exceedingly fine. If she had just been honest, none of this would have happened. Of course, that’s just not in Jennifer’s nature. I have never seen any one person so dedicated to telling falsehoods in my life. Fantastic article, Tracy. Thank you for breaking all of this down. Assuming the bk is denied and the Mckinneys are responsible for this debt, what happens? Do they just continue to receive dozens of letters and phone calls requesting payment? Obviously they ignored the first round of requests for payment. Do the creditors go back to court and garnish any wages? She is self-employed so how does that work? Can they just continue to just not pay their debts? I have no idea how this works. Sara – The creditors can get court judgments against them, and then proceed to garnish wages and swipe money that is in bank accounts. If the McKinneys ever own real estate again, the creditors can place liens for what they’re owed. This will follow Jennifer for YEARS unless she reaches settlements with her creditors. With Google AdSense, you do not withdraw the money. They automatically pay you when you have crossed the payment threshold ($100). They pay monthly if you’ve earned enough. It is possible to have them temporarily hold payments, but I’m not sure why she would do that, unless she didn’t expect them to look at her AdSense account and wanted to keep the money out of the bank until after. After reading the lodged documentation today with a clear head I am feeling quite confident that the denial is a mere formality. Mr. Doeling was appointed by the judge as he was obviously considered appropriately qualified to undertake the investigation. The judge would not have appointed him had he (the judge) not believed that he would uncover the concealed/undisclosed assets, which he did. From what I understood it appears Mr. Doeling’s investigation may still be in progress given point 2 of the recommendations. Tracy, does that point mean that he can put the McKinneys on the stand & question them to uncover further assets? (The rent received for the seven weeks they were RVing for example – given JM claimed the renters were covering the mortgage and we know they paid two house payments totalling $6000, the amount would have been considerable). Thanks again for enlightening us Tracy. Very much appreciated. Jen – I think the trustee said she “withdrew” the money not realizing that it is automatically paid out. I think the gist of the part of the complaint regarding Google AdSense is still accurate… she was owed the money from Google at the time she filed bankruptcy, and therefore should have declared it. Sorry to be slightly off-topic but I don’t know where else to go . . . what happened to MWoP? Hacked? Is there anywhere else that everyone is gathering?? Thank you, Tracy, for all your hard work here! You’re welcome. I have added update #3, talking about Jennifer’s upcoming domain name change. I’m curious, do you know the normal timeline for having assets seized for a bankruptcy auction? The reason I’m asking is because the court might not be set up to adequately handle items who value change rapidly, such as domains. Jenny – I really don’t know. I know the court has determined that these assets will NOT be exempt (i.e. they can be taken), but I do not know if something else has to happen procedurally before they can actually be taken, or when that would happen. I’m not very confident that the trustee understands exactly how blogging works and realizes that the content must be seized in addition to the domain, but hopefully he is doing his research. I’m impressed with how much he uncovered since the hearing. One thing she will lose with a domain change is her Google PageRank, and it will be difficult to rebuild that. MckMama must have misunderstood. Mr. Deoling was too smart for her shennanigans. Justice is inevitable. it’s mwopblog dot com. Still up and running! The issue of the trademark “MckMama” and the domain name falls under trademark law. Under trademark law, you cannot transfer a trademark or service mark divorced from the “goodwill” associated with the trademark or service mark. i.e,.You can’t sell just a name, or traffic in trademarks. It’s hard to imagine that the court could sell the underlying intellectual property in MckMama to someone else to take over (in addition to the domain name) because trademark rights come from use only, and can’t be transferred without the associated good will. MckMama IS Jennifer McKinney’s likeness and her life, at least to the extent she’s been truthful. So while the domain name could be auctioned, I don’t think the goodwill associated with “Mckmama” could also be sold. Copyright law would apply to the content of her website, i.e., the text and graphics. I suppose the copyrightable works could be transferred in the bankruptcy, such that someone else would own her past writings and photos. Tracy, I was wondering about how Jen & Israel’s separation might tie into this. Is there any advantage to them filing for separation instead of divorce? I ask this because I was wondering if a separation would still provide them the protection from their spouse testifying against them in any subsequent trial due to the fraud that she/he/both have perpetrated. Any thoughts? KteeB – I hadn’t thought about that, but my understanding is that even if they were divorced, they could not be forced to testify about communications they had with each other during the marriage. I suspect that the separation was more a strategic move to gain home field advantage. File in Wisconsin before Israel can file in Minnesota. Plus… If I were a betting woman (and I am! ), I would bet that at the time the separation papers were filed, Jennifer didn’t have a thought in her head that she would have problems with the bankruptcy. I bet she thought she’d sail right through bankruptcy. Because she’s Jennifer. She had no idea the bankruptcy court was going to hold her accountable for her lies. I was thinking about this earlier and forgive me if it’s been mentioned but this is how I sorted it out in my mind. The whole, seizing her content AND her domain. It’s like someone owning a store (brick and mortar), being allowed to take EVERYTHING out and then being able to automatically bring people to your new store without them even barely realizing it’s a different place. Then your old building is seized, empty mind you, and sold. Basically worthless, well now it’s just an empty building. Even if the store was full of original artwork you made prior, it’s still an asset and can be sold and make income for you. Right? I was having trouble, at first, understanding how this could legally be done but then I made that correlation and it clicked. Someone posted a link to this on my twitter in response to something I wrote to Jennifer McKinney. So out of curiosity I opened it. I am appalled and discussed at what I found. I am sick that you spend your precious time digging dirt on others. Instead of this article being informative of JM, I am informed that you have no life and only seek to bring others down. What is going on with Jennifer is her business. She didn’t ask you to get involved and spread her business. And if she is lying on her public blog-she will answer to that when she meets the Lord. As you will when you meet Him. I am sorry for you that your life is so boring that you must resort to this type of sick, sad entertainment. Please find a real job or be a stay at home mom and spend this energy living your babies, or dogs, or anything. Whitney – This is not entertainment. You may not have noticed, but I have a real job. It is as a fraud investigator. As part of my professional activities, I blog here about cases of fraud which I believe are of interest to the public. In the case of Jennifer Howe McKinney, she is trying to perpetrate fraud on the bankruptcy court. This is a matter of public interest because when people lie to ditch out of debts they legally owe, it affects all consumers. We pay higher prices and higher interest rates when people weasel out of their debts. Thankfully MckMama doesn’t just answer to the Lord. She answers to the bankruptcy court. She lied repeatedly, and she will be held accountable for that. She has the ability to repay her debts, so she should be forced to do so. God-willing, she will have to. If you are entertained by lies on someone’s blog, that’s your business. It doesn’t really matter if I like Jennifer or her blog. What matters is that I’m a fraud investigator, and in my opinion, Jennifer is committing fraud… to the tune of almost $750,000. Thankfully, the bankruptcy trustee is making himself informed and holding Jennifer and Israel to account for their actions. So out of curiosity I opened it. I am appalled and discussed at what I found. I am sick that you spend your precious time digging dirt on others. This article is full of factual information that is proven true by the court documents, past history and the actions of the trustee. I am informed that you have no life and only seek to bring others down. Considering that later in this comment you debase Tracy with foul language and completely unfounded accusations(unlike Tracy who has only provided hard, documented evidnce) and disturbing threats I find this statement highly ironic. What is going on with Jennifer is her business. What is “going on” in her personal life(such as how she raises her children, her weightloss, etc.) is her business–and ahe makes it “her business” (both literally and figurativy) to make most of this highly public. Jennifers blog is an actual business. It is how she makes her money. When a business perpatrates fraud, when the people within that business steal and lie(again this is documented) then it–as you say– becomes “the business” of the public to know that they are victims of thieves and liars. Jennifers actions are public because she runs a business–and through this business she and Isreal have lied and stolen from innocent people and lied and stolen from the government…and as documentation as shown: lied under oath this fraud, these lies, this theft is the public’s “business”. She didn’t ask you to get involved and spread her business. No she didn’t. However, her blog is PUBLIC. Through her blog(the money gained from it, posts and photos) she and Israel lied and stole from innocent people, her readers, the government and the courts. And if she is lying on her public blog-she will answer to that when she meets the Lord. She may very well. However, liars and thieves also must answer here on earth. If someone stole 52,000 dollars from you–from your family– would you want that theif to have your money returned? Would you want that theif to have their actions accounted for? Or would you allow that theif–and in return all theives–to be left alone…to never have their actions or what they stole accounted for here and now? I am sorry for you that your life is so boring that you must resort to this type of sick, sad entertainment. I fail to see anywhere that Tracy finds this “entertaining” you’ve just accused her of something with no proof. I also question why you find it “sick” that someone is making a theif and liar known to the public they stole from. Why do you find it “sick” to make a thief accountable. This is Tracy’s real job. She is a fraud investigator. Jennifer and Israel have frauded the public, the government and the courts…tracy investigated it. Would you say this to a Judge or lawyer that was helping you in a case against someone that stole from you? In addition, since you apparently find it so awful that someone would “spend their energy” on “this type of thing I have to ask: Why have you just spent your energy writing this comment, debasing tracy, throwing false accusations at her and threatening her instead of…anything else? Do you think thieves should be held accountable here and now? How can you accuse Tracy of “digging up dirt” when she provides documented proof? Why have you debased, threatened and falsely accused Tracy–an innocent person–when you state you find that wrong? Why, when Jennifers blog is a business, and that business has been used to steal from the public and lie to the public, the government and the courts do you think the public should not be aware of this? If Jennifer files a response to these complaints by the Trustee what do you think she could say to prove she didn’t hide these assets? Is there anything that could save her? These aren’t made up facts and numbers, so what could she possibly be thinking would change the courts mind? Pamala – Good questions. It seems the facts about the undisclosed assets and income are clear cut. What defense could she possibly have? I suppose Jennifer could claim her false disclosures and lack of disclosure were mistakes or unintentional, or that she didn’t know enough. I don’t expect the court to buy those arguments, though, since we’re not talking about one or two small problems in the filing. Tracy, is this just a way to divert attention from her fraud? Can she sue people for posting documents that are public record and commenting on them? Sounds like protected speech to me! She says her lawyer is Patrick Tierney (St. Paul MN?) Have you been contacted by him? Just an Observer – Yes, we call this technique “diversion.” Look away from the bankruptcy court and toward something else. Yes, there is something in the U.S. called the First Amendment, and it allows ordinary people to talk about things, give opinions, and share facts. That doesn’t mean you can’t be falsely sued by someone… I know this firsthand. But I’ve been sued and I’ve WON. I have never heard of that attorney. She’s also claiming that somebody created false paypal accounts using her name and made up emails to make it look like she was hiding assets. C3 – That would be interesting if it mattered. A. The bankruptcy trustee has only made reference to one Paypal account as far as I’ve seen. B. Any Paypal accounts using HER email address would have to be verified by her. So the accounts couldn’t exist and be linked to her email address unless she verified them. C. Even if someone created a paypal account that made it SEEM like it belonged to Jennifer, it doesn’t matter. No one would care about a paypal account that didn’t really belong to her. I would think that ignorance would not be an effective defense. 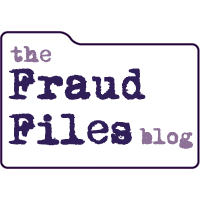 As a business owner, accurate and thorough record keeping would be expected. The lack of those business practices seems not to be a valid excuse. Carol – I agree. Just like your taxes… when you sign the documents you are telling the government that they are accurate. The IRS does not accept the “I didn’t know” defense, and I don’t think the bankruptcy court falls for it very often either. And again, we’re not talking about one or two small errors. We’re talking about what appears to be a pattern of deception in this bankruptcy filing, involving multiple assets and streams of income. I think you meant to say ‘disgusted’, not ‘discussed’. And since we are talking about disgust, I am disgusted by Jennifer’s actions. “Whitney” is the same woman who was a member of MWoP and was looking for friendship and went on and on about the “recent” death of her husband who passed 3 years ago. She took part in saying nasty things about Jennifer, but then got angry when she wasn’t getting the friendship/attention she was searching for at MWoP, and flounced back to MckMama’s blog. She has since harassed MWoP members. I say all this because her comment here is extremely hypocritical given the negative comments she previously posted about Jennifer when she was a member of MWoP. “Whitney” dear, you are making a fool out of yourself. You might want to consider stepping away from the internet for a while. And get a therapist. I don’t know/believe that there are many people who are in the decision making process of this who is not going to ignore just the simplest of information/lies from them. “Piles of cash” comes to mind. That is the biggest red flag every. What is “going on with Jennifer” IS EVERY TAX PAYERS BUSINESS!! Who do you think ultimately ends up paying all this money? Every other person in the country. Whether in the form of increased taxes, increased prices for goods and services, or increased health premiums. This is everyone’s business. You are sorry that Tracy’s life is so boring?? Well, I am sorry that you attended primary school in such a bad school district: Disgusted is an entirely different word than Discussed. Oh, and by the way, she did ask everyone to get involved when she chose to earn her living by blogging about her life. “Whitney” is actually Melinda IRL. She’s posted on Jennifer’s site (and linked to her blog) for a long time and also posts on MWOP playing both sides of the fence. She has attacked someone named Tiny Candi on MWOP, and in my opinion, she seems to be rather unstable. You guys actually have time to go through and research all this crap and have to post it? Who cares! What comes around goes around and those slinging mud will come to thier senses soon. Get a life and leave others alone. I could care less who’s a fraud and who isn’t because we will all face God one day and that’s when the payment will happen. Get a life! Shari – About the only people I’ve ever known who do NOT care about fraud are those who are liars and cheaters themselves. Does that include you? Since you don’t care about fraud, would you care if someone broke into your house and stole all your things? Would you care if someone got into your bank account and took all your money? Because this is no different. The effects of fraudulent bankruptcy filings are not so direct, but you DO pay when someone like Jennifer McKinney lies about her income and assets to get out of paying the debts incurred in her careless lifestyle. I, for one, don’t care to pay for her irresponsibility and fraudulent bankruptcy filing. Fortunately, it looks as if Jennifer will have to answer for all of this NOW. And payment will happen, because she will never get out of paying these debts if the bankruptcy court does the right thing. Hi Tracy — Just wanted to add a comment here. Before I stumbled on your site, and even as an regular Twitter user, I had never even heard of MckMama. Guess she was never my type. When I started reading, I was completely unbiased. When I finished reading, I could not believe what I had read. I still can’t wrap my head around the fact that she has any supporters left at all. And she’s a “role model” for those kids? Unbelievable. I have to commend you on your posts. I can’t imagine how many (unpaid) hours you’ve spent on this, but I know one thing: If I lived in the U.S. and ever needed a fraud investigator, I’d hire you in a minute! Either the people who’ve commented here supporting Jennifer think *exactly* the same way (“why are you wasting your time?” “God will judge her when she dies”) or they are all various incarnations of the same sock puppet. I’ve never been a MckMama reader and never really cared about her one way or another. This bankruptcy case is downright fascinating, though. Lots of average people have to file bankruptcy all the time; most of them have a legitimate need to take advantage of the relief a bankruptcy offers and they are grateful for the opportunity to have a clean slate. Ms. McKinney seems to have an almost compulsive need to hide assets and information in her bankruptcy. She is either stupid beyond belief or so greedy and selfish that it doesn’t occur to her she might be caught out. Either way, it will be really interesting to see what the judge does with the trustee’s latest filing. I’m not American, and my knowledge of the United States’ bankruptcy process is mostly gleaned from American television and movies. I’ve learned so much from your blog, Ms Coenen. Thank you! It’s heartening that many other people are outraged by the behaviour and attitude of Jennifer McKinley. One thing to keep in mind is that one PayPal acct can have several emails on it. I have one account, but use three emails with it, depending on what business out o my three that I need it for. Les, that may be true, but Ms. McKinney did not disclose ANY PayPal accounts in the original bankruptcy paperwork, not even the one she was getting thousands of dollars deposited into. Tracy: I was wondering if her recent purchase of a home using a contract for deed will be reason enough for the bankruptcy to be denied. If she had the downpayment for a CFD, that could have been used to pay back her debts. If it is that easy to owe $750.000.00 and walk away from that into a new home, the rest of us are doing it all wrong. Can you fill me in on what happens if the bankruptcy is denied (dear god I hope so). Are the McKinney’s creditors able to take legal action against them to chase payment? Then if the IRS does it’s thing as it has been suggested will happen, are they put on a payment plan? Jennifer claims to be paying $100/month now, which seems such a drop in the ocean given what they owe. Interesting that she is claiming that she is paying but the debt never decreases too. More than anything I wish for her to be forced to repay her creditors back every cent, regardless of how long that will take. I hope that she has to live on a tight budget for the next 20 years or so. Her recent extravagant & flagrant flaunting of so many new items (clothing, furniture, household goods, trips etc.) is nauseating. I am sure that many of the peoplke she has stolen from would love to do the same with what they are owed.